This page is dedicated to promoting music books that I highly recommend. I have greatly enjoyed all of these books personally, and can safely say that they are among the finest I’ve ever come across. You will find a short review and a handy link under the picture of each book. I strongly urge all of you surfers out there to look into these books. Each one of them opens an important door to a different musical area well worth investigating. Philip Toshio Sudo’s first book, Zen Guitar, has helped 90,000 + guitar players walk their musical paths with greater confidence and clarity. After reading Zen Guitar I became a more creative and relaxed musician immediately. The rewards of the Zen Guitar philosophy continue to unfold for me even many years later. Read it! Devi is also the lead singer/guitarist for the rock band DEVI, and a Fender Girl Rock Nation artist. She’s a former associate editor of Blues Revue magazine, and has also written for Rolling Stone.com, Guitar, Guitar School, Guitar World and The Village Voice. Visit www.devi-rock.com for free music downloads, videos, book excerpts and more. 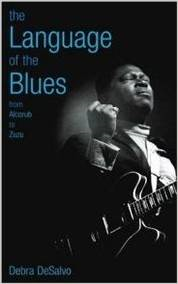 Devi’s weekly column, The Language of the Blues, appears on www.americanbluesscene.com. Guitar Zero offers an informed view of the cognative processes involved in learning and playing guitar. If you’re an older person considering taking up the imnstrument for the first time the findings are quite encourageing. You’ll follow Gary Marcus, a thirty-something year old brain scientist, through his own musical journey starting the guitar as an adult beginner and anylising his performance in comparison to that of teenage beginners. Guitar Zero is thought provoking and highly reccomended to say ther least! 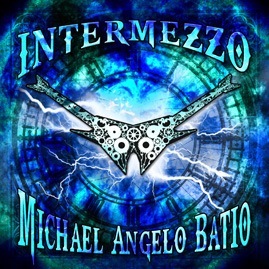 Intermezzo is the eighth studio album by American progressive metal musician Michael Angelo Batio. This amazing masterpiece shows an exciting new side of Angelo’s musicianship and acts as a bridge between his previous work and a new chapter. It features a no-holds-barred 45 second guitar solo by Tobias Hurwitz. (The first solo on “Overload.”) Guthrie Govan, George Lynch, Rusty Cooley, Joe Stump Michael Romeo, Chris Poland (Megadeth), Dave Reffrett and virtual who’s who of cutting edge super-shredders are also featured. The author of this book, David Oakes, is one of those extremely rare individuals who can fluidly and musically sight-read virtually anything that is put in front of him. Not only that, but his book completely reinvents the stuffy and ponderous way sight-reading has been previously taught in books. Oakes actually makes reading on guitar fun, and gives the reader a look into his brilliant mind, rather than merely presenting a collection of increasingly difficult examples. This is truly innovative and exciting. Check it out! What I like most about this book is that it arranges six of the Bach Two Part Inventions for guitar duet. I love the music of Bach, and this is a sight-reading smorgasbord beyond compare. There are also solos by Paganini, Bach, Sor, Carulli, and others. Leavitt has created a super-tool for teachers and technique mongers alike. Get it! Bill Edwards has done a wonderful thing with fretboard logic volume I. This small, self produced book has become an instant best-selling classic in the world of guitar education. Believe it of not, even after having graduated from GIT, taught at the National Guitar Workshop, and authored a few books of my own, this 34 page wonder still instantly improved my playing. Fretboard Logic is one of those rare finds that will likely expand your guitar perspective in a big way. Check it out! This in not a book, but I strongly recommend it anyway. The highly distinguished Professor Robert Greenberg has produced a brilliant and entertaining series of 48 lectures giving the vital stats on great music from the ancient world up through modernism. Greenberg has an encyclopedic knowledge of classical music and offers profound insight into the works and musical forms of the great masters. By the time Greenberg’s through with you, you’ll know the difference between a fugue, a rondo, and a canon, and you’ll listen to Beethoven’s Fifth symphony in a whole new way. Get it!